I’m writing this Friday evening, roughly ten minutes after snapping the above photo from our front porch. Yes indeed, the weather prognosticators’ prophecies which I mentioned in yesterday’s blog have come true, and we did indeed get the Big Dump, or as some have been calling it, “Snowmaggeddon” or “Snowpocalypse.” And we did indeed cancel Sabbath morning’s church services. 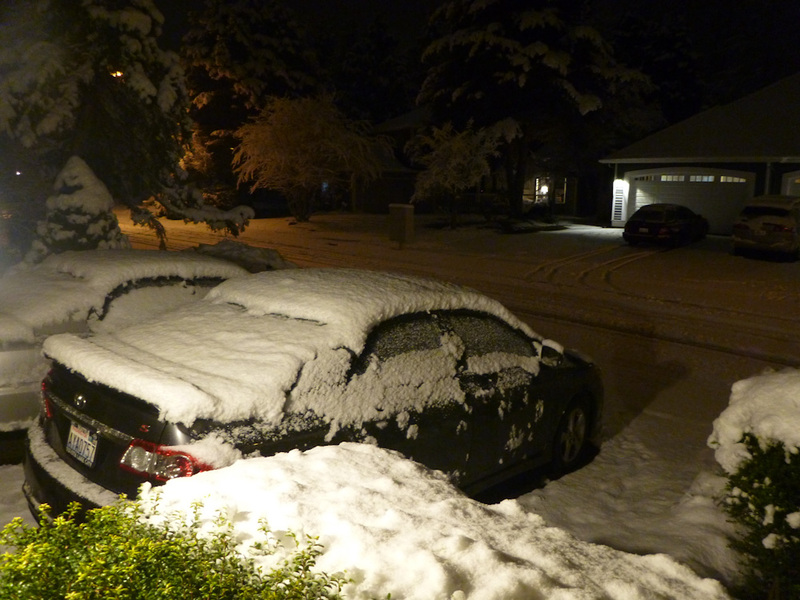 A couple of hours ago I took a metal ruler and measured the snow on the leftmost of our two cars (we’d used the right one for errands while we were still snowless this morning, and I figured the in-cabin heat might have melted some of the early snow). We have received exactly four inches to this point, just since a little after noon, and Shelley just peeked out and says it’s snowing again. What’s been so fascinating over the past few hours is to watch as the forecasters’ computer models have proven so true. They said snow was coming down from the north, and they predicted pretty accurately when the snow would start in each area. Ours arrived, right on cue. This made me think of how accurate God’s prophetic Word has proven over the years. For a thorough Bible review about prophecy—and maybe insights you hadn’t thought of—click the link just below.